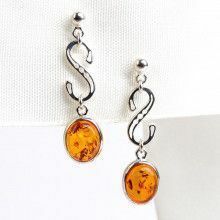 This pair of earrings measure about 1 1/2" long from hook to base. 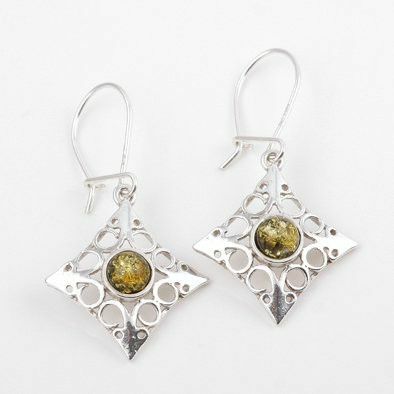 The diamond shaped sterling silver piece measures just under an inch, and the green amber stone measures in at 1/4" in diameter. 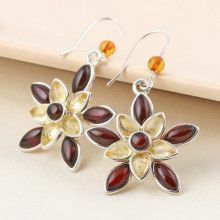 The piece features an intricate working of silver which would go great with either an elegant dress, or a more natural look, you could Mix and match with almost anything in your wardrobe. 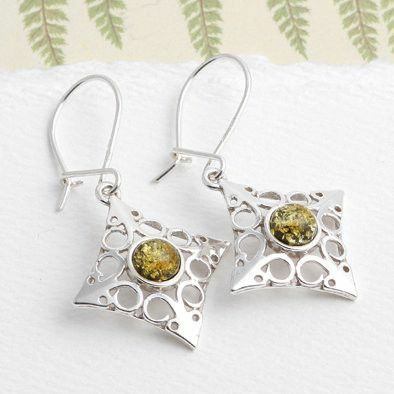 This pair of lightweight green amber earrings would make a great gift for any occasion. 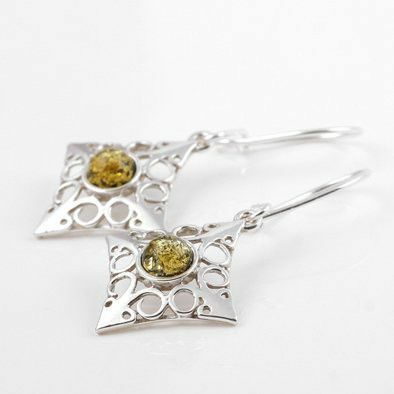 Silver Diamond Piece measures: 7/8" x 7/8"